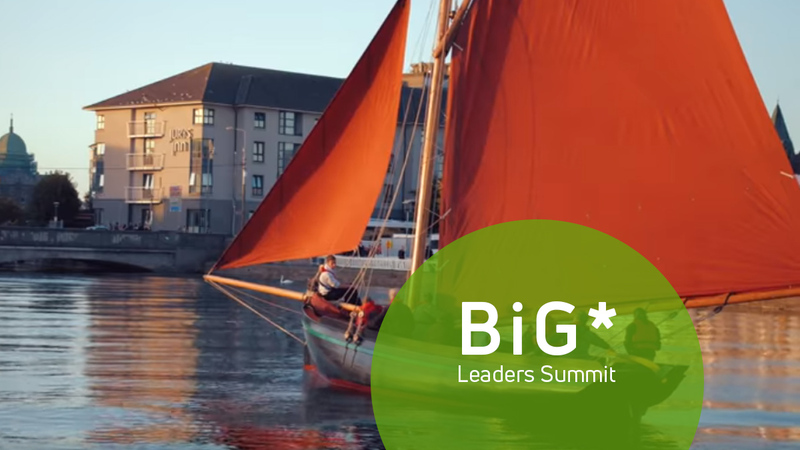 Some of Ireland’s top trainers in the areas of leadership and management development are coming to Galway on Tuesday June 12th when Galway Executive Skillnet host the BiG* Leaders Summit in the Connacht Hotel. This unique event will feature a series of experts who will each present on a highly relevant topic to give practical tips and insights to help managers and leaders become more successful. Topics will include Personal Leadership, Goal-Setting, Managing and Motivating Staff, Empowerment, Engagement, Creating High-Functioning Teams, Lean Operations and Strategy. Carl Blake, recently appointed Network Manager of GES, explains the idea behind the BiG* Leaders Summit: “BiG stands for ‘Based in Galway’, and if Galway is recognized as ‘THE place to live in Ireland’, we need to ensure it is also ‘THE place to work in Ireland’”. According to Carl: “There is a lot of new thinking and models in management and leadership, and as a network who specialises in learning & development, we are fortunate to have access to some of the very best in the business.”. Presenters on the day will include the IMI, Gerry Duffy, LEAP, Padraic O’Maille, Action Coach, Eric Fitzpatrick, Premier Coaching and LBS. Galway Executive Skillnet is one of 67 training networks funded by the Dept. of Education and Skills through Skillnet Ireland, the national agency for workforce learning. The subsidy makes high-quality events like the BiG* Leaders Summit affordable and accessible for local businesses. The cost of attendance is €50 p.p. including lunch. Bookings can be made online or by emailing info@. Galway Executive Skillnet is co-funded by Skillnet Ireland and member companies. Skillnet Ireland is funded from the National Training Fund through the Department of Education and Skills.